"Exhibitions Like This Should Be Always Here, A Part Of Life"
Commonwealth Park is frequently associated with the riot of spring colours created during the annual Floriade festival. However, in March of 1975, Commonwealth Park was host to a different type of colourful display. The Sculpture '75 exhibition formed part of the visual arts component of Australia 75 Festival of Creative Arts and Sciences. This sculpture display turned Commonwealth Park into an open-air art gallery for a collection of large artworks, created by some of Australia's leading artists. The files LF5903 - Australia '75 Festival of Creative Arts & Sciences - Sculpture Exhibition - Photographs/Etchings - 34 and LF5906 - Australia '75 Festival of Creative Arts & Sciences - Construction - Earthwork - Photographs - 37 feature a selection of photographs showing the installation of some of these sculptures as well as their final placement within Commonwealth Park. 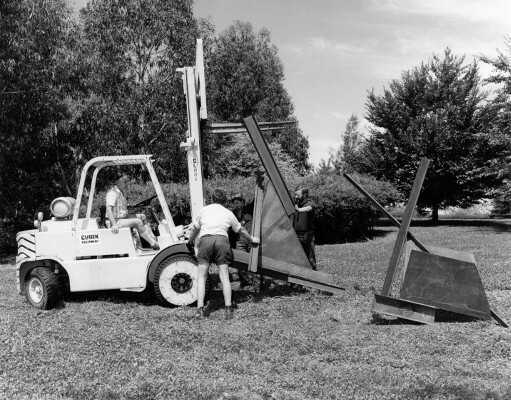 Sculpture '75 is ArchivesACT's Find of the Month. "The celebration, however, is not to cheer our tennis players, swimmers, or footballers, but to draw attention to the work of our fellow artists and scientists, whose work frequently has to wait for foreign recognition before it is acknowledged at home." In trying to describe Australia 75, Haag did not want it compared to an "Arts Festival like Edinburgh or Adelaide, nor a people's festival like Moomba, nor an Expo like Spokane, nor even a "show" or an exhibition" but acknowledged that it would contain elements of all. Spread across the National Capital, the Australia 75 exhibits were varied, yet focused on the theme of "A Celebration of Australian Creativity". This included: displays of Sidney Nolan's paintings at Lanyon Homestead (prior to construction of the Nolan Gallery); craft workshops; film festivals shown at the Boulevard Blue Cinema, the National Library Theatrette and the Australian Academy of Science; a floral arts display; theatrical works; a floating ballet on the lake; a children's program; and a variety music concerts. Out and about, there were "Happenings" like street opera, minstrel singers and audiovisual displays in Canberra's shopping centres. Australia 75 also included Computers and Electronics in the Arts. Described as the "first nation-wide meeting of the country's leading artist/technologists," it featured audio and visual displays using computers and served "to awaken people to the new possibilities to be opened up by technology." In an age when personal computers had only recently become available to the public, organiser Douglas Richardson hoped to "present the computer in a more [favourable] light than that of a monster". 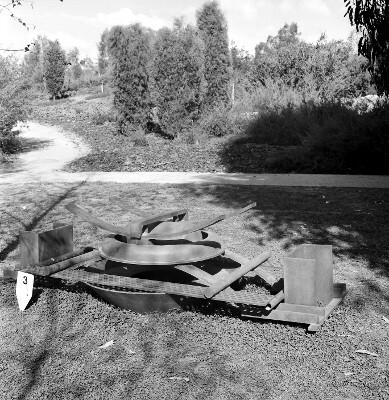 "In the Delightful Setting of Commonwealth Gardens"
Sculpture '75 was a national exhibition comprising over 30 major works of contemporary Australian sculpture. The exhibition had been organised in collaboration with the annual Mildura National Sculpture Exhibition. Given the scale of the exhibition, organisers considered Commonwealth Park to be the most suitable location. It provided a "delightful setting" and also contained an area of the gardens that was still unfinished which could be used by sculptors during the exhibition. There was an assortment of mediums used in the creation of the sculptures. In addition to the hard wood and steel exhibits, the official program even promised an appetising display with works that visitors could even eat! Organisers expected that "there will have to be new ones every day." 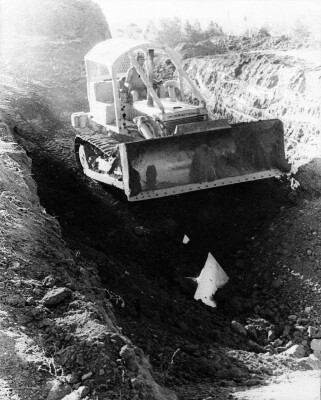 Another form of sculpting, called earthworks, was included in the program. This allowed people to come and watch artists creating their works at the exhibition site. The Canberra Times reported that: "Visitors to the resultant exhibit will find that the artistic merit in earth sculpturing lies in the way things are done, not in the finished work." Playwright Dorothy Hewett opened the exhibition. During the morning, while Hewett spent time wandering through the gardens, the sculptures had become the playground of children who were climbing all over them. She remarked that "Exhibitions like this should be always here, a part of life." 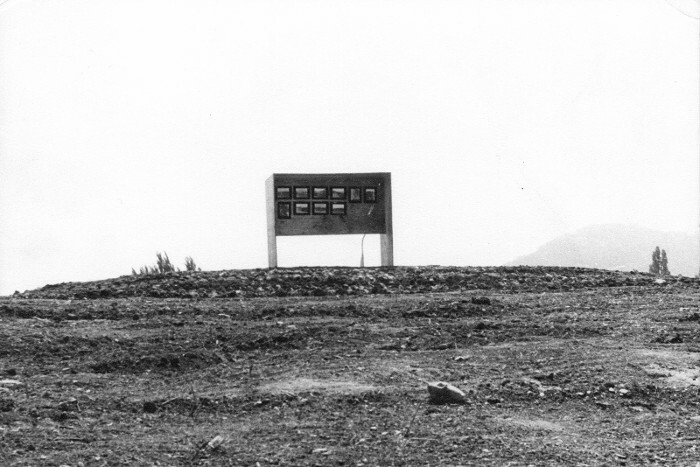 One sculpture, Bert Flugelman 's 'Earthwork' was a particularly notable inclusion to the exhibition. "Let the scoffers depart to their conventional galleries and other established sites for visual sculpture. But let those with imagination spend creative hours gazing at the bulldozed earth in Commonwealth Gardens. Given only the slightest prompting they can begin to imagine the $10,000 the sculptor, Mr Flugelman, says his works are worth." 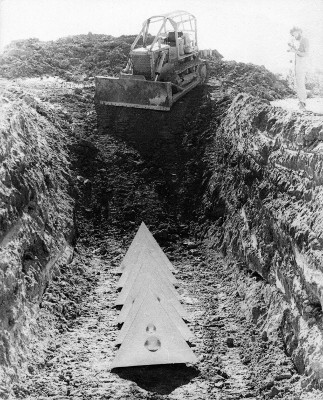 'Earthwork' remains in situ in Commonwealth Park to this day; allowing people to still "admire" this work. A small plaque indicates the sculpture's location. 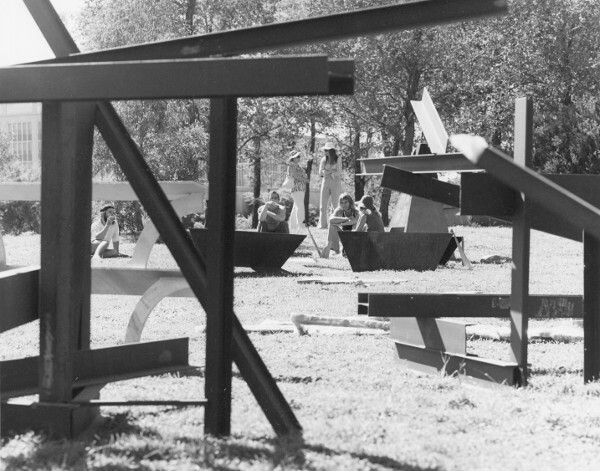 Alongside the Sculpture '75 exhibition, Commonwealth Park hosted Craft 75. Housed in a large temporary dome structure called the Craft Dome, Craft 75 carried a $2,500 prize for the exhibition's winning entry. This entry would also become part of the Australian National University's art collection. Judges reduced over 400 entries to 36 finalists; these were the pieces ultimately displayed in the Craft Dome. The winning work was a macramé tapestry by Janet Brereton. Australia 75 was a unique festival for its time. By combining the arts and technology into a large event for the first time, the festival had something of interest for almost every age and taste. It was also the first open air sculpture exhibition held in Canberra and for many, it was the first time they had exposure to computer art and music. The organisers of Australia '75 intended this to be the first in a series of national biennial art and science festivals held in Canberra. However, this vision was dashed only months later when the Federal Budget included no funding for Australia '77. 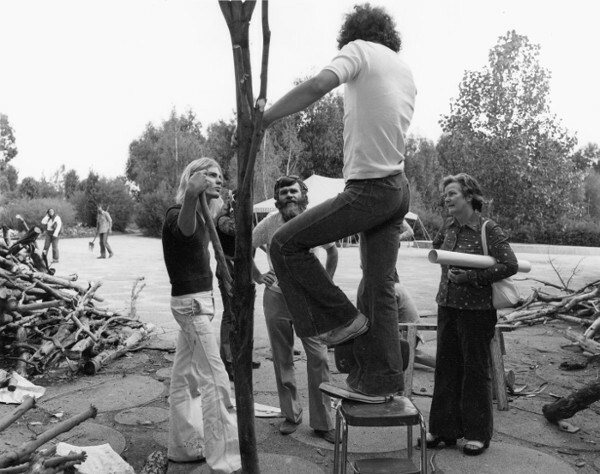 Despite the organisers' continued optimism that they could secure funding, it appears they were unsuccessful, leaving Australia '75 as a one off event in Canberra's history. Unfortunately the files of the time do not record the names of the many people pictured involved with the sculpture installations. ArchivesACT would be interested in hearing from anyone involved with 'Sculpture 75' or who recalls visiting this exhibition. An Account of the Children's Programme Australia '75, Canberra, March 1975 / by Australian Youth Performing Arts Association [Sydney] ; Australian Youth Performing Arts Association and The University of Sydney Theatre Workshop, [1975?]. Australia 75 : festival of creative arts and sciences, Canberra, 7-16 March 1975 / by Australia '75 (Canberra, A.C.T.) 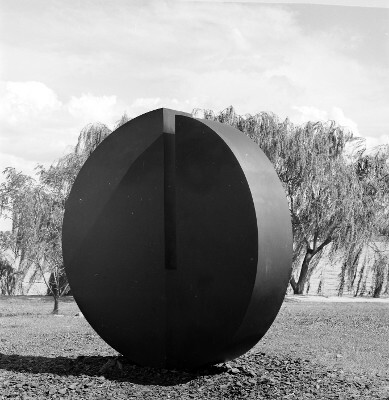 ; [Canberra : Australia 75, 1975]. Australia 75 : festival of creative arts and sciences, Canberra, 7-16 March 1975 : computers and electronics in the arts / by Australia '75 (Canberra, A.C.T.) 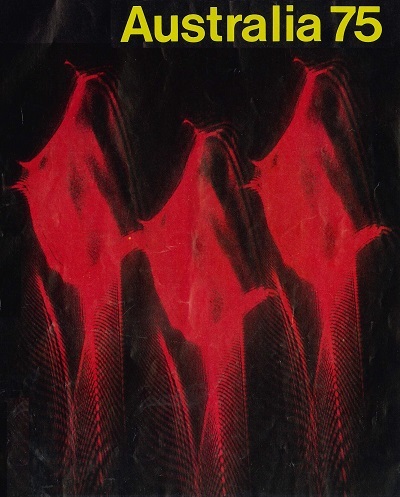 ; [Canberra : Australia 75, 1975]. Australia '75 : the nation's 1st festival of creative arts and sciences / [Canberra] Australia '75, 1975. Australia 75 : the other arts: science, invention, technology / edited by A.J. Birch & M.J. Kaye ; Canberra : Australia '75 Science Committee, 1975. Australia 75 floral art displays / [Canberra : Festival Australia, 1975]. Australia 75 program / by Australia '75 (Canberra, A.C.T.) ; [Canberra : Australia '75, 1975].